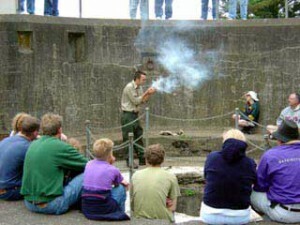 The second floor of the Interpretive Center is devoted to giving visitors an overview of the varied history at Cape Disappointment after Lewis and Clark – including exhibits on the two lighthouses found within the park, the military’s presence including the Coast Guard, and changes to the natural environment. Tours, programs, and guided hikes are available by appointment made in advance. To make a group reservation or for more information call (360) 642-3029. 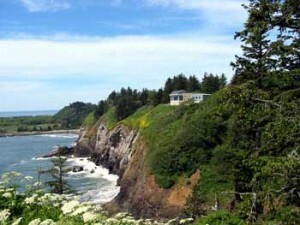 A bookstore, operated by the Friends of the Columbia River Gateway, is located in the center offering Lewis and Clark, lighthouse, and environmentally themed books, maps, and other merchandise. This page took 0.443 seconds to load.